Contact Technology was established in 1998, which is a global provider of switches products, services and solutions to industrial and commercial electronics components and computer products. In order to meet the market demand and customer request, Contact Technology has extended to produce phone jack, DC Jack and USB connector …etc. We will offer best quality continuity to service our customers. Professional R&D team provide the reserching power and new technology delvelopment to help customers. Strict management of factory accurate cost control would supplier the best proprietary low cost product. Adopt rigid quality control to decrease fail ratio over all customers. Establish customer service team: solve customer’s process problem fast. Provide flexible customize products fast to shorten developments schedule in customer’s need. Set up supply chain rule,raise the speed of production. Focus on Green parts production,show our dedication to environmental protection. 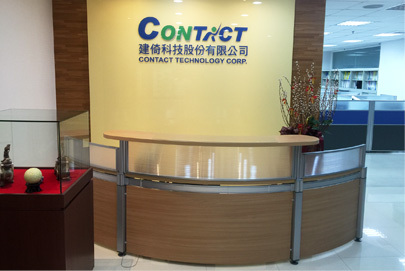 For passed years,we preserve our managing principles of “Excellent quality,continue innovation,faith and honesty” to make Contact Technology one of famous brand in switch industry. In quality field,we get ISO certificate and we plan to achieve six sigma standard. In innovation field,our invest treasury up to 9% of turnover and we will invest more treasury continuity and let our products reach to highest level of world. In the meanwhile ,the honesty is our rule and will follow up this rule and keep our business forever. We,Contact Technology are willing to enthusiastically face the challenge,As electronics components focus on“lighter,thinner”design,our integrated solution can provide clients professional technique support and customer-oriented service.Our worldwide network of sales and technical support teams are available to customers in world-wide.